What is Microcephaly in a new born baby? 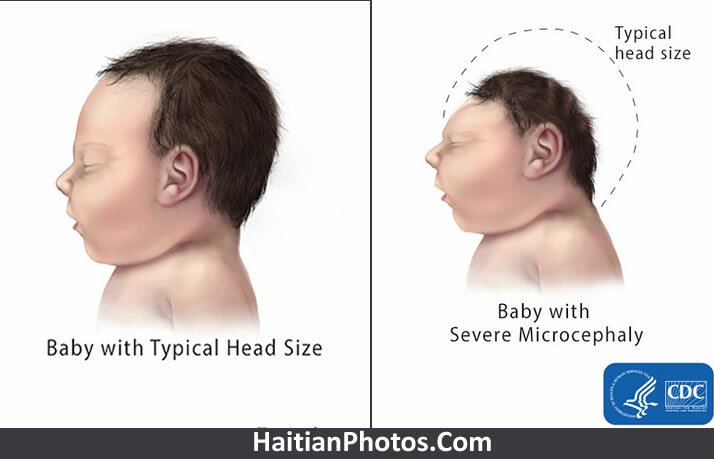 As the Florida Department of Health has confirmed the first case of Microcephaly with a Haitian national who came to give birth in Florida, many people are asking what is it exactly. "Microcephaly "is an abnormal smallness of the head, a congenital condition associated with incomplete brain development. It is a rare nervous system disorder for which the brain does not grow at a normal pace, the skull doesn't, either. Microcephaly can be caused by a variety of genetic (Congenital Microcephaly) and environmental factors (Acquired Microcephaly). Congenital Microcephaly is passed down through families, caused by defects in genes linked to early brain development. While the latter, or Acquired Microcephaly occurs when the baby is in the womb and fell prey of certain infections Like Rubella, Zika, Toxoplasmosis, or Cytomegalovirus or severe malnutrition or exposure to harmful substances, such as alcohol, toxic chemicals, or certain drugs. Children with Microcephaly in some cases have developmental issues, mild to significant learning disabilities, speech delays, or impaired motor functions, but there are many who do not experience any difficulty at all. Microcephaly is a relatively rare disease affecting about 25,000 children in the U.S. each year.